Rae Short served so many in the greater Kent County area with compassion and relationship building. She championed the mission of the American Heart Association’s Go Red for Women movement and shared her personal experience with heart disease to help women lead healthier/happier lives. Rae embodied the new mission slogan; “to be a relentless force for a world of longer, healthier lives”. Rae served as a leader among our strong volunteer community and her passing underscores the importance of advancements in heart and stroke scientific research. 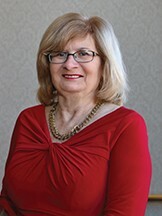 The Rae Ann Short Volunteer Excellence Award has been established in her honor and will be awarded at the 2019 Southern Delaware Go Red for Women Luncheon on Wednesday, March 20, 2019 at Dover Downs Hotel. This award will be given to an outstanding volunteer in Kent/Sussex counties each year to recognize their accomplishments and advance-ment of the mission of the American Heart Association in their community. Rae will be deeply missed by so many. We are proud to honor her in this way. If you would like to show your support for the American Heart Association and its mission in honor of Rae Short you may send your 100% tax deductible gift to The American Heart Association, 200 Continental Drive, Suite 101, Newark, DE 19713 You may also go online to: http://southerndegored.heart.org and click on Open Your Heart to make a credit card donation.